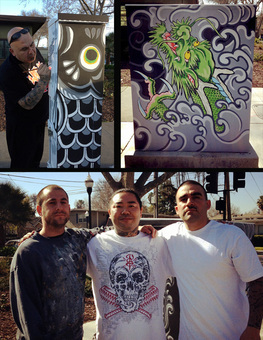 Takahiro Kitamura along with fellow artists Chris Brand & Drew Flores have just completed a new ArtBox in Japantown at 3rd & Jackson. If you'd like to be involved in the ArtBox Project, please send samples of your art work and artist's statement to info[at]PhantomGalleries[dot]com. The weather's getting nicer and we have a lot of new locations in the works!